Dog Trainer College is an elite facility that benefits both those striving to be a professional dog trainer and dogs themselves. We are a dog trainer certification school and police K9 training in New York that provides you with all of the tools you’ll need to thrive in the dog training industry. Whether your aim is to learn the basics of obedience training or specialize in a specific field of study, our courses will cover it all. Along with our dog trainer courses, we offer professional dog training classes to help your dog perfect their behavior and hone their skills. If you want to become a professional dog trainer, you’ll need to take the right courses to do so. 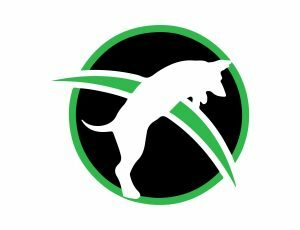 At Dog Trainer College, you’ll find an exceptional dog trainer certification school and police K9 training in New York, that offers a host of dog training courses, teaching you everything from the basics to advanced training techniques. Each course will allow you to practice and refine your training technique so that you will be ready to take on the industry upon completion. Dog training is our passion at Dog Trainer College and we are able to work with dogs from across the country with our professional dog training classes by Conifer Canine. Just as we teach future dog trainers in the art of training your loyal companion, we teach your dogs the art of obedience. Whether it’s a family dog that needs behavioral improvements or a working pup that shows the qualities of an exceptional service dog, we have the classes you need. Interested in becoming a dog trainer or taking advantage of the professional dog training classes in New York? Contact Dog Trainer College at 812-650-2394 today!